Keating Law Offices has successfully settled a lawsuit for a Chicago bicyclist who sustained significant injuries while riding in the new protected bike lane on Kinzie Street in Chicago, Illinois. 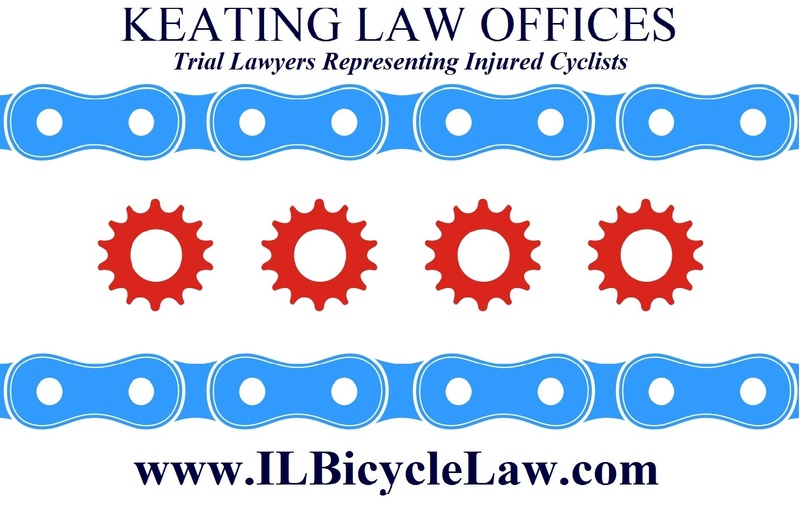 The case was settled within one month of the filing of the lawsuit and stands as an example of Keating Law Offices' unwavering commitment to vigorously prosecuting cases on behalf of injured bicyclists. 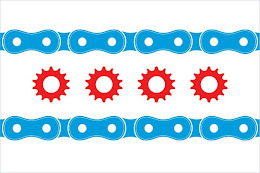 The bicycle accident occurred last November on Kinzie Street just north of the Merchandise Mart. The lawsuit alleged that the bicyclist was riding eastbound in the designated bike lane on Kinzie Street when the defendant erratically drove his SUV into the bike lane. The bicyclist tried to swerve his bicycle to avoid colliding with the SUV and crashed into a concrete wall. As a result of the bicycle accident, the bicyclist sustained a fractured collarbone that required extensive medical care. Keating Law Offices filed the lawsuit when the motorist's insurance company failed to offer adequate compensation to the bicyclist. 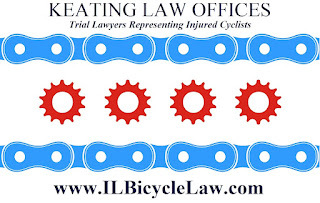 The Illinois Bicycle Lawyers at Keating Law Offices then successfully persuaded the insurance company to agree to a settlement that allowed the bicyclist to be adequately compensated for his medical bills, pain and suffering, and disability while he recuperated. Pursuant to the settlement agreement, the specific terms and conditions of the settlement are confidential.